Organisers of this year's Reading Festival have blamed the good old British weather after hordes of fans complained about the low sound levels for many of the Main Stage acts performing this year. 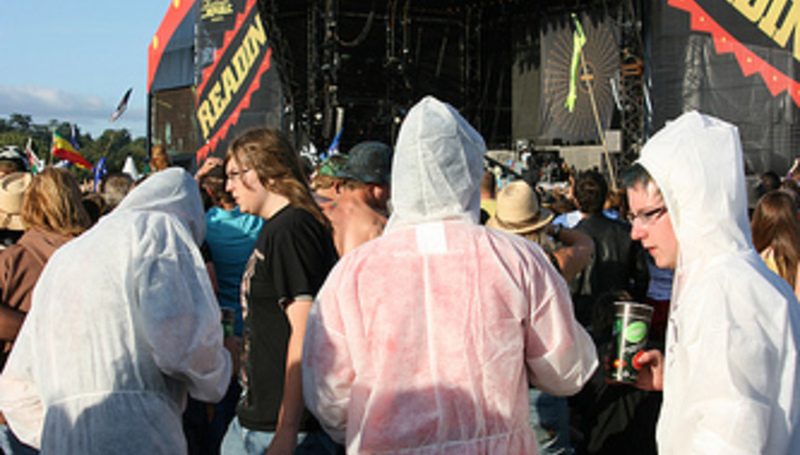 After rumours onsite suggested that Friday's headliners Rage Against The Machine, had conspired to keep the volume of the other acts down to a whimper, festival organiser Melvin Benn has stepped up to set the record straight: "The council set exactly the same level that they always set, but due to the weather this year, the sound stayed low." Festival-goers also complained after Saturday's performance from The Killers was greeted by crowds chanting "Turn it up!" in between songs, following Bloc Party's set which had also been besieged by sound problems. "The sound levels on site are almost entirely dictated by the levels offsite... As a result the sound hit those decibel readings much, much earlier than normal, resulting in the sound being recorded at much louder volumes offsite than normal. So we were obligated by the council to turn our levels down." "The sound level was less than ideal on the Friday night and my sound engineer and I have a meeting scheduled in with the council to present how we will overcome this so we don’t face the same issues with sound next year." DiScuss: Was it just us or did they turn it up on Sunday? What's the quietest gig/festival you've ever been to?